Looking at our schedule next year and ESPN's "Way too early top 25", we have numbers 14 (UCF), 23 (Auburn) and 25 (Army) on the schedule.. throw in our regulars in the west. FIU and Temple, and we face 8 bowl teams from 2018. If we run the table, we'd have much higher consideration for the playoff than UCF did (yeah, I'm being funny.. or attempting to at least). Seriously, though, that's going to be a tough schedule and I am thinking we're finally capable of succeeding against one as daunting. We played 7 bowl teams (excluding ULaLa) this year, plus our FCS opponent advanced in their playoffs. It's a bit of a harder schedule, but not by a huge margin. It would depend on what Auburn and Army do in their other games. If Auburn only loses one or two in conference and Army basically wins out and beats Oklahoma it would be very interesting. This is not a tough schedule unless you grade on a huge curve based on being a G5 and our history. The Bowl team metric is useless when 78 teams make Bowls. If this was 1970 when there were only 11 Bowls and we were facing eight Bowl teams it would be a killer schedule. Times have changed. I don't grade on a curve. We are a D-1 FBS program along with 129 others. There are no unbeatable teams on that schedule and only two that if we won would really catch people's attention in Auburn and UCF. Now let's go do it. 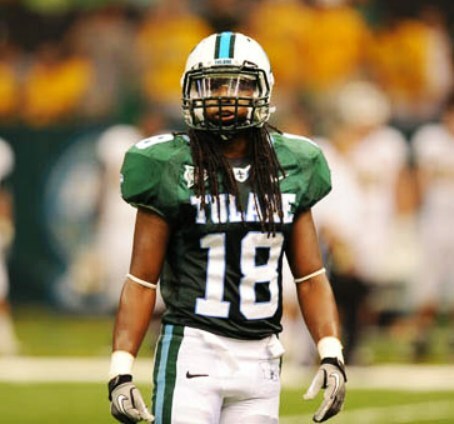 The schedule is difficult enough that if by some long chance Tulane does run it then it will be in the conversation for legitimate recognition by all observers however one wishes to define it. Meanwhile season double digit win total including bowl game seems to be a universally acknowledged milestone for a good team so I'll start with that as a challenge goal for next season along with contending for AAC title. OK with me though if team decides to exceed expectations! I'll take a back to back bowl games. Seriously stop being clowns, set realistic goals like 7 regular season wins 8 for a reach. This 7 (regular season) wins would be a success. Hope for 8. Anything more is laigniappe. A lot changes year to year as well, so I wouldn't really project this year's schedule based on last year's bowl teams. Any of these teams could fall off or improve drastically, even midseason. Look at what Cinci did year over year or even what Temple did after a very slow start. I think we are trending up and that's not necessarily true for some teams on this schedule. Our goal should be to win the West and play in the AAC title game. In year four that should be realistic. Thinking back, and I'm guessing here, there were probably only 4 bowls in the year I was born (Rose, Cotton, Sugar and Orange), and we now have 30+ more. Saturating the market. Oh, and there was only a "top 20" for a long time, and teams played 10 games, except some (mostly Big 10) that only had nine. And if you wanted to watch a game on TV, there were only about six that could be seen on a Saturday. Anyway, 7 wins regular season would be okay. More would be better. But our schedule seems to be a wee bit tougher than '18s. That's why we they play the games. And there were no seat belts, you asked the operator to connect you, and polio was a thing. They huddled together in their caves for warmth at night and to stay safe from the saber-toothed tigers. No, all the saber-toothed tigers had already been drowned in a green wave.